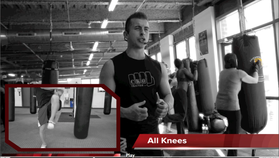 Gain Access To The Move Of The Week! 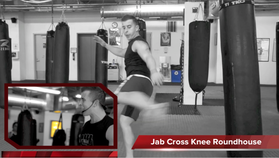 Plus The Strikers Orientation: Learn: Jab, Cross, Hook, Uppercut, Front Kick, Elbow and Knee. 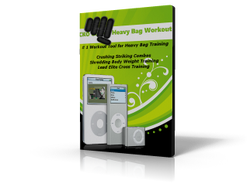 Time to take advantage of this insane training tool that will allow you to 'super-charge' your workout! 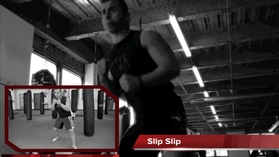 Tired of all the workout DVD's that use flat, studio set ups to film their workouts? Sick of staring at paid professional models demonstrating moves? 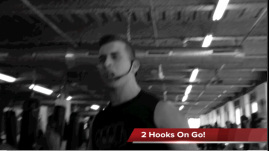 I bring you directly into a real, legit kickboxing class complete with real people and real energy. 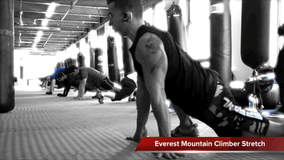 I use the pace of the class to push you to your potential and keep the workout at the optimum level. 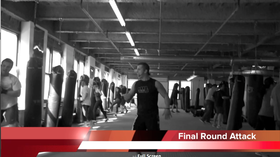 This is a conditioning workout that focuses on burning massive amounts of energy and developing your sense of balance, power, speed, and 'Improv Striking' (IS) which is a key focus in my class. 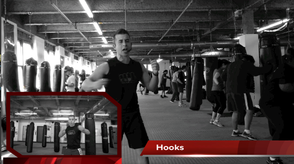 You'll develop the ability to strike without thinking- your body will react to a situation immediately. 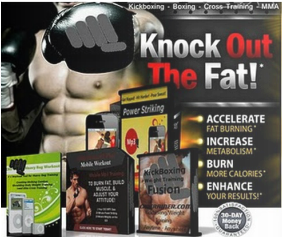 This is where the magic happens... As your strikes get faster and more powerful, your body fat begins to melt off and you'll start to see muscles you never realized you had! You'll be "Crushing It!"! This is the key to transforming your body, and it's NEVER BEEN AVAILABLE in your own home UNTIL NOW!! 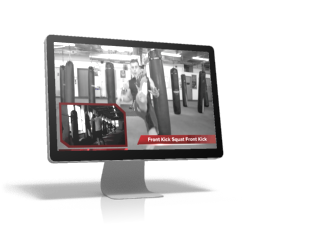 !You'll get: Instant access to a class that is designed to enhance your heavy bag workout whether you're a K-1 Champion or a kickboxing-cross training enthusiast. It's all here. I have designed and developed this class to burn the most amount of energy with the least amount of effort. 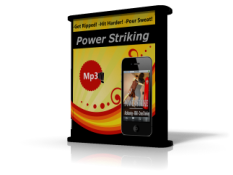 This Will prepare you to bring the power as you sculpt lean muscle and upper and lower body definition with extra focus on your chest, shoulders, triceps, core, and lower body. 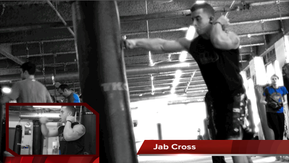 Burn fat and improve athletic performance with this sweat drenching explosive Jab Cross full body combination. 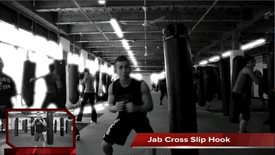 Melt away fat MMA style combination as you jab cross slip hook your way to a shredded core in this hard twisting crack of the skull workout. Want Maniac Abs? Do this work your hooks! Carve your upper, middle, lower abs, and love handles at the same. Just what it says. 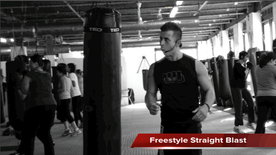 Freestyle Striking Round gets that firm, toned and lifted along with beach-ready biceps, triceps and more. 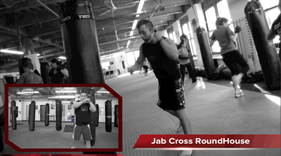 Melt away fat as you train like a fighter with this signature round jab cros roundhouse. 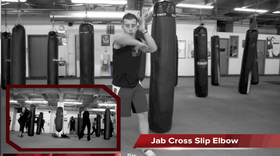 Keep your workout towel handy for this one! 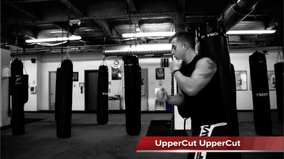 All Uppercuts is an Intense cardiovascular combination with punching and kicking for endurance, balance, and coordination. 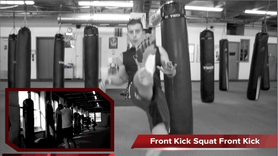 Based on the MMA combat technique developed in Thailand, this workout uses stand-up striking along with knock-out kicks that will reshape your entire body and burn fat Maniac Style! 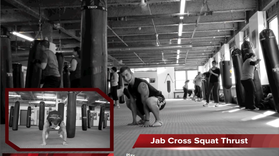 Jab Cross Squat Thrust combines strength, balance and flexibility designed to enhance your physique. 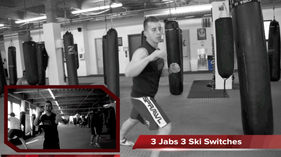 This explosive combination dramatically improve athletic performance. No weights. No pull ups. Pure muscle. 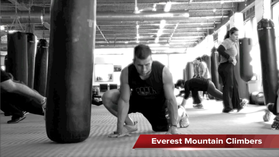 Everest Mountain Climbers conditioning will get you that ripped up you want.